Take advantage of Grand Hotel Konya’s professional team and state-of-the-art equipment to play host to productive meetings and unforgettable invitations. 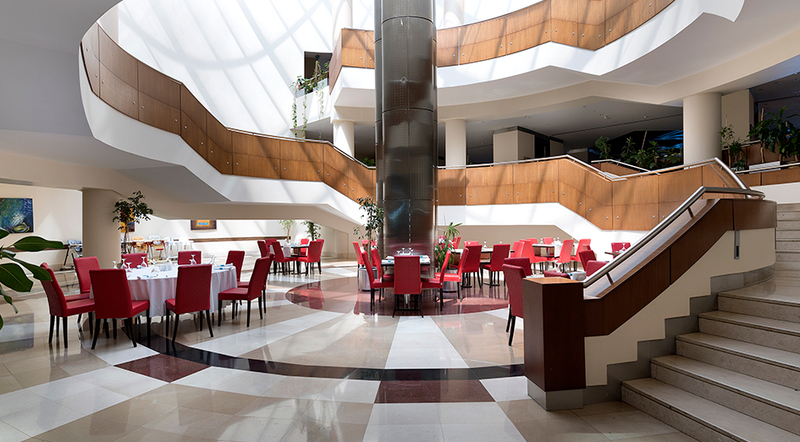 With its unparalleled location, creative cuisine, and professional service understanding, Grand Hotel Konya stands out in offering meeting services as a reliable and right option that can meet any kinds of needs. Designed to meet all kinds of things that the business world may need, the Business Center is home to nine meeting rooms designed at world standards and an up to 1,200 people capacity ball room that can be separated into two parts, as well as a multi-purpose hall. All these amenities together make a unique environment for every kind and size of events such as congresses and meetings, weddings, press meetings, seminars, exhibits, and fashion shows. The hall, which has a total area of 970 sqm, hosts the theater, the class, the reception and the organization of your organization with u arrangement. Up to 800 lunches and dinners can be served on the saloon with a maximum capacity of 1200 people. The hall, which has a total area of 450 m2, hosts your theater with its class, reception and u arrangement. Up to 400 lunches and dinners can be served on the saloon with a maximum capacity of 600 people. 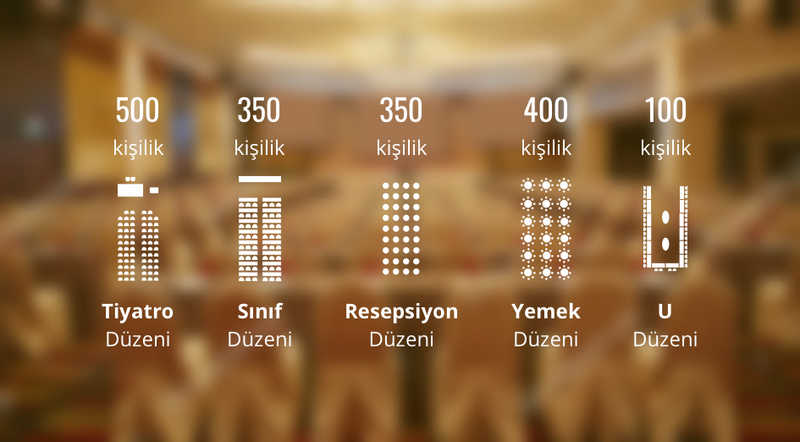 The hall, which has a total area of 525 sqm, hosts the theater, the class, the reception and the organization of your organization with u arrangement. Up to 400 lunches and dinners can be served on the saloon with a maximum capacity of 600 people. The foyer area, which has a total area of 561 m2, serves up to 600 people in the reception layout. 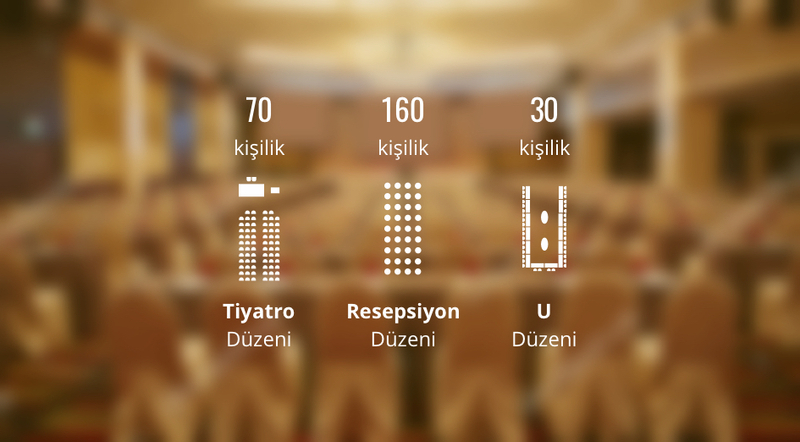 The hall, which has a total area of 540 m2, hosts your theater with its class, reception and u arrangement. Up to 400 lunches and dinners can be served on the saloon with a maximum capacity of 500 people. The theater, the reception and the hall that hosts your organizations with the arrangement of u, serves up to a maximum of 200 people. The theater, the reception and the hall which organizes your organizations with the arrangement of u, gives up to a maximum of 160 persons. The theater, the reception and the hall that hosts your organizations with the arrangement of u, gives up to a maximum of 180 persons.